Investigators are requesting assistance from the public in identifying and locating a suspect wanted for the alleged luring and sexual assault of a teenager in Elizabeth last week. On Thursday, December 7, the Prosecutor’s Office Special Victims Unit received a referral from the Elizabeth Police Department regarding the incident, which took place at approximately 5:30 p.m. the day before, Wednesday, December 6. Around that time, the 15-year-old victim was walking on Elizabeth Avenue near the U.S. Routes 1&9 entrance ramp, according to the preliminary investigation. Driving a beige four-door sedan, the suspect approached the victim and asked her for directions to a local mall, then convinced her to enter his vehicle, the investigation revealed. The alleged sexual assault took place approximately 15 to 20 minutes later on nearby Livingston Street. 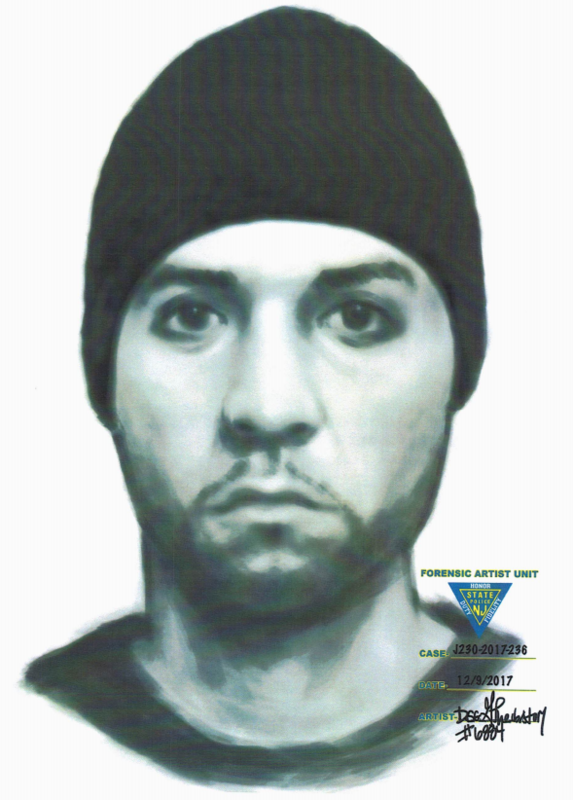 The Prosecutor’s Office today is distributing to the media a New Jersey State Police artist sketch of the suspect, described as an unknown Hispanic male, possibly in his 30s, with short-trimmed facial hair and wearing a black winter hat. Investigators are also releasing a brief surveillance video clip depicting the suspect’s vehicle traveling through Elizabeth. Anyone with information about the suspect’s identity or whereabouts is being urged to contact Special Victims Unit Detective Joanne Son at 908-477-1698 or Sgt. Timothy Durkin at 973-698-9529.